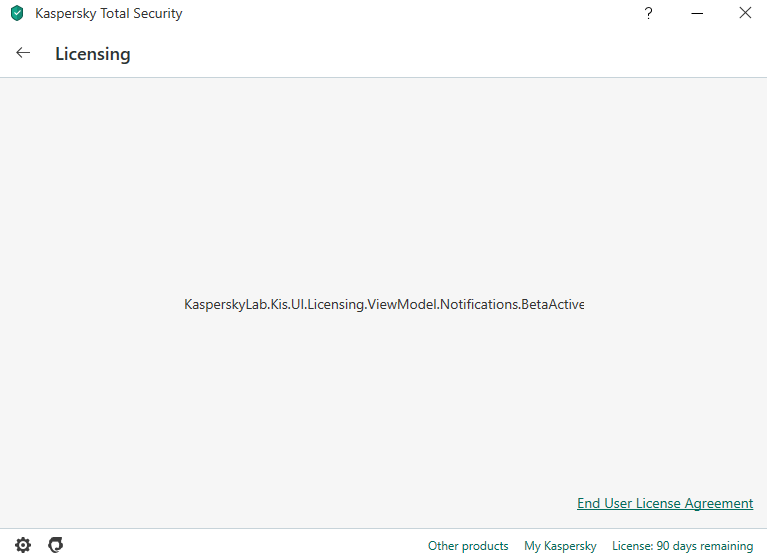 Appeared message KasperskyLab.Kis.UI.Licensing.ViewModel.Notifications.BetaActive after delete license. #843 Appeared message KasperskyLab.Kis.UI.Licensing.ViewModel.Notifications.BetaActive after delete license. Click on License->Click on delete license. After delete license message appeared KasperskyLab.Kis.UI.Licensing.ViewModel.Notifications.BetaActive. After delete license appeared window activation.